Books, books, books. We all love books and blogs about books and websites about books and authors talking about books. So, today, I'm going to share a few blogs, websites and author sites I enjoy reading. I went to Bouchercon a couple years back and one of the panels I attended was the introduction of MULHOLLAND BOOKS, an new imprint of Little, Brown and Company. The imprint would focus on suspense novels: crime novels, thrillers, police procedurals, spy stories, even supernatural suspense. And the authors: Marcia Clark, (yes, the one of OJ fame), Mark Billingham, Duane Swierczynski, and Sebastian Rotella to name a few. New to me authors that definitely piqued my interest. Mullholland's website is great and chock full of original fiction to read including Mark Billingham's original short story, THE WALLS which is available to read or listen to in audio book form. I know I've probably mentioned them before, but they bare mentioning again. MURDERATI is a group blog of murder mystery authors who enjoy discussing everything from, what else, murder to what's going on in their lives and how it relates to writing. There have been a few new additions to the group so be sure to check them out. I'm slowly making my way through reading each author's books and they keep making life difficult for me by adding new authors. *grin* I'll never run out of reading material. 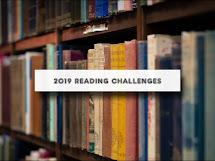 Since I'm involved in A Round of Word in 80 Days, a writing challenge, I've discovered some great independent and self published author you should check out. Also book bloggers whom I've been following it seems like forever and love talking about books. Candace of Beth Fish Reads: She covers the books offered by several imprints. Staci of Life in the Thumb: She loves all things Darcy. Jackie of Literary Escapism: I've discovered many fantasy and paranormal books through her posts. That ought to keep you all busy and your wishlists feed for a while. I can't believe it's already week 29! Wow!! Thank you for hosting the challenge. It's been a wonderful way to keep me focused on a goal...and make reading a priority (not just reading to my daughters for homeschooling).